Increases Education Aid by $1.1 Billion, Including $700 Million Increase in Foundation Aid; Governor Announces Second Round of Empire State Excellence in Teaching Program to Recognize Outstanding Teachers Across New York. Photo by: Pat Arnow, licensed under CC-BY ASA 2.0 Generic. 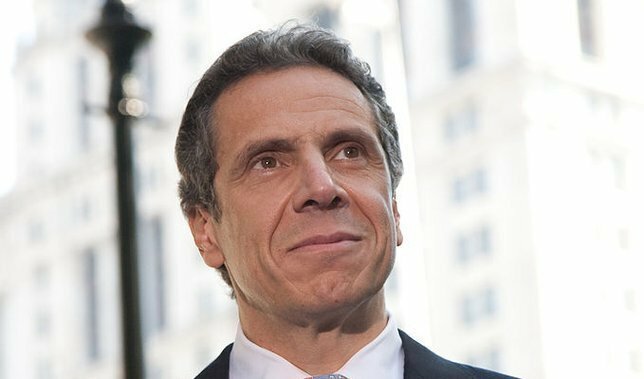 Albany, NY - May 3, 2017 - Governor Andrew M. Cuomo today signed legislation investing a record $25.8 billion in high-quality education across New York State. The new legislation boosts education aid by $1.1 billion, including a $700 million increase in Foundation Aid. The bold investment builds on the Governor’s commitment to strengthening educational outcomes, including an increase in education aid of $6.2 billion, or 32 percent, over the last six years. The Governor also announced the second round of the Empire State Excellence in Teaching Program, which recognizes 60 teachers across New York who are successfully preparing a new generation of learners for the future. Winners will receive an award from the Governor, the opportunity to advise education policy makers, and a stipend of $5,000. The funds can be used for continued learning and professional development. "By investing more in education than ever before and more than any other state in the nation, we are expanding access to quality education from pre-K through college and helping all New Yorkers build a stronger foundation to pursue the American dream," Governor Cuomo said. "Each and every New York student needs and deserves access to a world-class education to ensure a bright future, and we must continue to invest in our schools, our teachers and our students to ensure a stronger state for generations to come." Prekindergarten: The Budget includes an $800 million investment in prekindergarten to support and expand high-quality half-day and full-day prekindergarten for three- and four-year-old children in high-need school districts. Community Schools: The Budget provides $150 million ‐ an increase of $50 million ‐ to support the continued transformation of high-need schools into community hubs. This funding supports services that are unique to each school’s individual needs, including before-and-after school programs, summer learning activities, medical and dental care, and other social services. Empire State After-School Program: The Budget invests $35 million in new funding for public after-school programs in the state’s 16 Empire State Poverty Reduction Initiative as well as in communities in the state with high rates of child poverty. This new funding will create an additional 22,000 spots for students in after-school programs. Smart Schools Bond Act: The Smart Schools Bond Act provides $2 billion in funding to districts to reimagine the state’s classrooms and provide New York’s students with the technological resources, skills, and learning environments necessary to succeed in the 21st century. Funding supports enhanced education technologies including infrastructure improvements, high‐speed broadband internet access, and active learning technologies. A regional breakdown of the funding is available here. To recognize and honor excellence and innovation in the classroom, the Budget provides $400,000 in funding for a second round of Empire State Excellence in Teaching awards. The program recognizes teachers from 10 different regions of New York, spanning from the North Country to New York City. The program honors outstanding individuals who exemplify the highest standards of teaching, working to foster creativity, instill a love of learning, and inspire independent thinking and student initiative. Public school teachers are eligible to apply for recognition. Any member of the public can recommend a teacher by filling out a recommendation here by May 11, 2017. Teachers who are nominated will be notified via email and asked to submit an application. New York teachers are invited to submit an application for final consideration by a panel of leaders from several New York professional education associations. Applications are due by May 18, 2017. Subject: LongIsland.com - Your Name sent you Article details of "Governor Cuomo Signs Legislation Investing Record $25.8 Billion In High-Quality Education Across New York"